Zambia born Rungano Nyoni has always been fascinated by aspects of African life, long after moving with her family to Wales. After studying in London and creating several highly-praised short films (including the Tribeca Award for best short), she began work on her first feature, I Am Not a Witch. The concept came from reading news of “witch camps” in which women accused of being witches were forced out of their communities and work the land they now must live on. Exploited and imprisoned for life, Nyoni was particularly interested in the practice in Zambia, a traditionally matriarchal society. 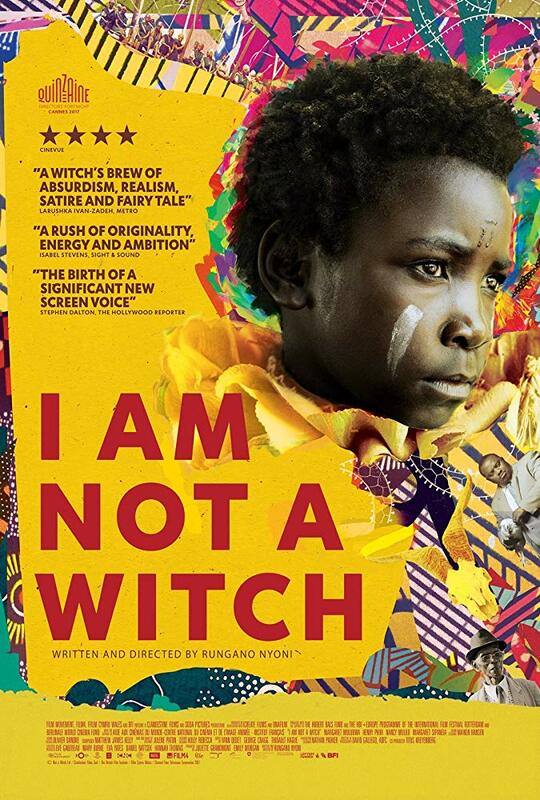 While dealing with a heavy human rights issue, Nyoni’s I Am Not a Witch uses aspects of fairytales and satire to tell the story of a child accused and brought into one of these communities. Lesley Coffin: How did you become aware of this issue? Rungano Nyoni: I’ve always been interested in Africa and this issue is well known in parts of Africa, but I didn’t really know that it was happening in Zambia. There is a movement to get these witch camps shut down, but people really need to figure out where these women would go first. They can’t just return to the village they came from, they’d be killed. They need to be given shelters, like refugees, but the people who own the land feel they need to exploit them because they’re giving them land so they should work for their keep. Lesley Coffin: Reading about the film, I was interest in the connection you made to Zambia being a matriarchal society but the accusation of witches is rooted in sexism. Rungano Nyoni: Zambia is matriarchal, but Ghana, where witch camps are even more prevalent isn’t. But regardless, there’s a universal kind of sexism that just permeates across the globe, among men and women. And the women typically being impacted are weak and powerless. They are widowed, old, seen as a burden on their family or the village. And when they are accused it just escalates and they are forced out. It happens to men, but they deny it and it’s just settled right then. Women accused have no recourse. Even growing up in a matriarchal society I felt there was still sexism, but going into a truly patriarchal society you see how little control women have over their lives. Lesley Coffin: The film is about an important, human rights issue, but takes a highly fiction, fairytale approach. Why did that feel like the best way to tell this particular story? Rungano Nyoni: I feel that in a lot of Africa films, the more realistic they are, the more exploitive they are and the less likely they are to impact a larger section of the population. 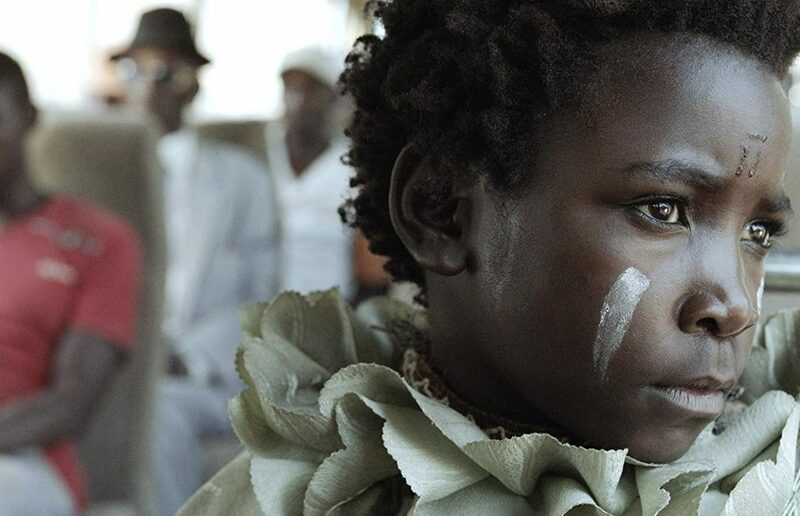 When African films play at film festivals, they don’t get the focus that films from other countries get because so many people just think “that’s Africa’s problem.” And I wanted people to think of this a global human rights film, not just an African film. They should care about this issue because human beings are being exploited. Lesley Coffin: Why focus on a child? Rungano Nyoni: We almost didn’t make the film focus on a child. I thought originally of make a film about an old woman sent to one of these camps. But I realized that, most of these women will go because they’re thinking of what’s best for the whole, before thinking of what’s best for themselves. They have been raised to believe this is just the way. And it might take a child to shake them into realizing the changes that need to be made in society that would help themselves and help others. Lesley Coffin: What was the casting process in finding Maggie Mulubwa, who plays Shula? Rungano Nyoni: She’d never acted before, she came from a totally rural area. My partner was taking pictures and asked her to be in the picture so we’d see what it looked like with a child in the frame. And she was so captivating that we decided to cast her. But first we had to find her based on that picture. And when we finally did, and asked her to be in the movie, she almost said no. She’d been told by some people not to come with us, that we couldn’t be trusted. But her parents left it up to her and a day later she said yes. And she’s so amazing in the film, she’s just captivating on screen. Since making the movie the BFI’s agreed to pay for her to attend a boarding school until she’s 18. Lesley Coffin: What was your reaction when you learned this would be the film the UK would submit for foreign language film awards? Rungano Nyoni: That was a conversation that happened early and without me. There was a debate between the French producers and the UK producers and it ended up in the UK. Many people were very confused and upset by that decision because it’s filmed in Zambia and they are speaking their language. But those decisions are all about how a film is financed. It was produced in the UK, so it’s a UK movie. And the fact is, the BFI is funded through citizen tax dollars, so the citizens of the UK did pay for the film. Lesley Coffin: I would assume than that you would like to see more funding of films within Africa? Rungano Nyoni: I wish they would, it would be much better. It would prevent the difficulties of bringing foreign crews in to work in a country where they don’t known the language and travel so far. It would arguably be cheaper to make a movie in Africa if they would fund it. But several countries in Africa want to tax filmmakers who come here, while other countries will give take benefits because they see the value of bringing film productions. There are parts of Africa, South Africa and Nigeria, which really support the film industry. But most of the countries have no funding for films at all. And that doesn’t mean there aren’t filmmakers in Africa, they just don’t have the money to make movies on the scale of something like this, and most won’t be released internationally because they aren’t being supported by distributors.